Researchers led by Nagoya University discover penetrative trace fossils from the late Ediacaran of western Mongolia, revealing earlier onset of the "agronomic revolution"
Nagoya, Japan — In the history of life on Earth, a dramatic and revolutionary change in the nature of the sea floor occurred in the early Cambrian (541-485 million years ago): the "agronomic revolution." This phenomenon was coupled with the diversification of marine animals that could burrow into seafloor sediments. Previously, the sea floor was covered by hard microbial mats, and animals were limited to standing on, resting on, or moving horizontally along those mats. In the agronomic revolution, part of the so-called Cambrian Explosion of animal diversity and complexity, vertical burrowers began to churn up the underlying sediments, which softened and oxygenated the subsurface, created new ecological niches, and thus radically transformed the marine ecosystem into one more like that observed today. This event has long been considered to have occurred in the early Cambrian Period. However, new evidence obtained from western Mongolia shows that the agronomic revolution began in the late Ediacaran, the final period of the Precambrian, at least locally. A team of researchers, primarily based in Japan, surveyed Bayan Gol Valley, western Mongolia, and found late Ediacaran trace fossils in marine carbonate rocks. They identified U-shaped, penetrative trace fossils, called Arenicolites, from 11 beds located more than 130 meters below the lowermost occurrence of Treptichnus pedum, widely recognized as the marker of the Ediacaran-Cambrian boundary. The researchers confirmed the late Ediacaran age of the rocks, estimated to be between 555 and 541 million years old, based on the stable carbon isotope record. "It is impossible to identify the kind of animal that produced the Arenicolites traces," lead author Tatsuo Oji says. "However, they were certainly bilaterian animals based on the complexity of the traces, and were probably worm-like in nature. These fossils are the earliest evidence for animals making semi-permanent domiciles in sediment. The evolution of macrophagous predation was probably the selective pressure for these trace makers to build such semi-permanent infaunal structures, as they would have provided safety from many predators." 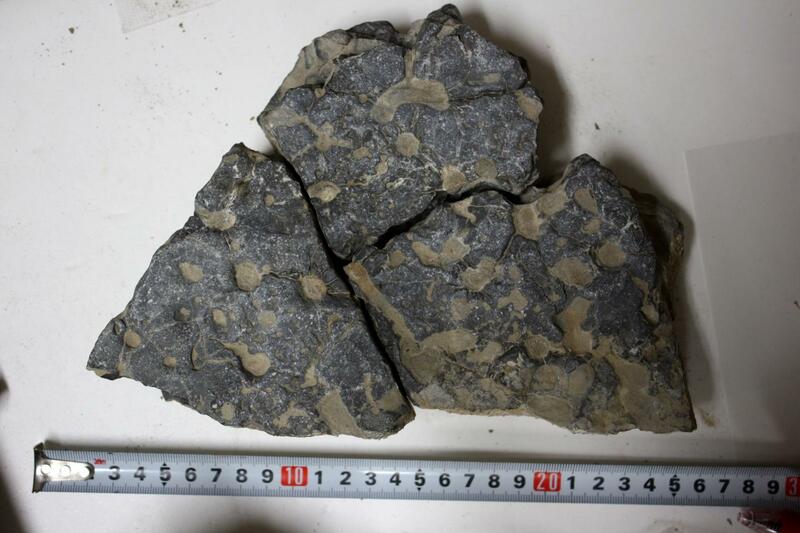 These Arenicolites also reached unusually large sizes, greater than one centimeter in diameter. The discovery of these large-sized, penetrative trace fossils contradicts the conclusions of previous studies that small-sized penetrative traces emerged only in the earliest Cambrian. "These trace fossils indicate that the agronomic revolution actually began in the latest Ediacaran in at least one setting," co-author Stephen Dornbos explains. "Thus, this revolution did not proceed in a uniform pattern across all depositional environments during the Cambrian radiation, but rather in a patchwork of varying bioturbation levels across marine seafloors that lasted well into the early Paleozoic." The article, "Penetrative trace fossils from the late Ediacaran of Mongolia: early onset of the agronomic revolution," was published in Royal Society Open Science at DOI: 10.1098/rsos.172250.